As the popular darling of the junior class and heiress to the five-star Monrovi Inn empire, Kate has both everything and nothing. She’s bored with school and life…until she locks eyes with Caleb at a school dance. Caleb is new to Kate’s exclusive prep school, and it’s clear he doesn’t fit in. In fact, he and his dad work in maintenance for Kate’s father. And while Caleb knows better than to spend time with the boss’s daughter, it seems that every time he tries to back away, something pulls him right back in. When their parents demand that they are to stay away from each other, they learn of a fight between their families that occurred more than fifty years ago. 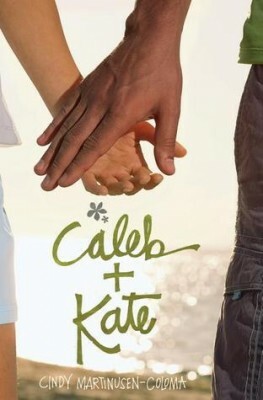 It’s a mystery Kate doesn’t understand…but a legacy Caleb has endured his entire life. With the world stacked against them, Caleb and Kate will have to walk by faith to find the path that God has planned for them.